Posted by Maggie the Moggie. December 20th 2017. 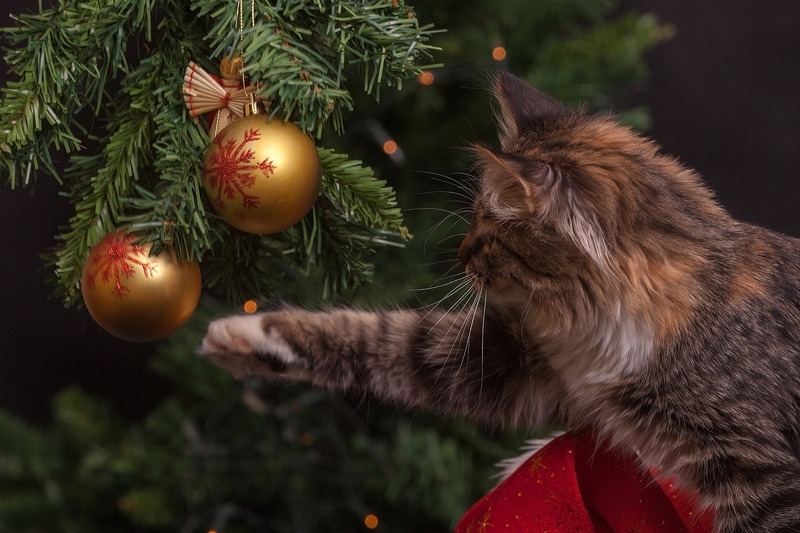 Are you confused about how to keep your cat away from the Christmas tree? It’s true that cats love to climb, and it’s especially exciting for a cat at Christmas when the Christmas tree arrives indoors. To a cat, a Christmas tree is like a big green climbing frame with shiny objects that swing. However, Christmas trees can be deadly for cats. Pine is highly toxic to cats, and if the pine needles are ingested, they can puncture a cat’s intestines. Additionally, the oils from fir trees can cause irritation to cats, so please be aware. Also, make sure your cat doesn’t drink the water that Christmas trees are placed in. A Christmas tree skirt can help with this. Repellent sprays will deter your cat from going near the Christmas tree. 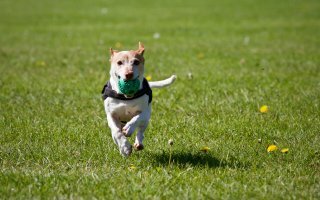 You can buy cat repellent spray form most good pet stores. Cats also don’t like the smell of apple or citrus, so using a citrus spray or apple cider vinegar will also work. Don’t decorate your Christmas tree straight away. Give your cat time to get used to the new object, including letting them investigate the tree. The reason why a Christmas tree is so appealing to a cat is due to the many dangly and shiny objects it houses. Wrap the lights tightly around the branches to limit any wires that dangle down. This will make it not only safer, but also less enticing to your cat. Similarly, opt for steady lights, rather than flashing, to reduce the chances of your cat wanting to play with them. A Christmas tree is a big play toy for a cat. Occupy your cat with something else, like a new toy. We have a range of toys to keep your cat entertained, such as a Catit Play Circuit. No matter how many tricks you try, there’ll be no stopping some curious cats. The answer may be to cat-proof your tree as best as you can. Tie the top of the tree to the ceiling with fishing wire. This will prevent the tree from tipping over should your cat climb it. Hang baubles using wire ornament hangers. This will stop your cat from easily pulling ornaments off the tree, and prevent them from getting hurt by breakable baubles. It’s best not to use glass or breakable baubles to avoid any accidents. Place bell ornaments at the bottom of the tree. This way you’ll hear if your cat is playing with the tree or hiding underneath it. Spray anti-chew product on both the tree lights and the tree. This will not only deter them, but also help to keep them safe from being electrocuted. In case your cat gets in a pickle this Christmas, make sure they’re covered with pet insurance. Visit www.argospetinsurance.co.uk to find out more information about our various policies. Tell us your renewal date to get our latest offers, and the chance to win a £100 Argos voucher! Enter here: www.argospetinsurance.co.uk/renewal/.